Breaking stereotypes and bringing healthy, affordable options to the RHS cafeteria is exactly what Bill Saveley, Site Manager for Organic Life is doing. Organic Life is our contracted food service vendor. Most of the food our students see daily is made fresh, in-house. The RHS cafeteria is getting away from preservatives and pre-packaged items. Food Services and the Business Office wanted a variety of a menu and also provide more affordable “green plate” meals. The monthly menu is made at the beginning of the month with the help of the kitchen manager and Saveley. You can find the menu on our website by following this link: https://www.d234.org/cafeteria/. However, daily specials are subject to change based off of shipments and availability. Grab-N-Go container has made daily fresh fruit, vegetable trays, snack cups, fresh salads made daily. All desserts are made from scratch - made in house. 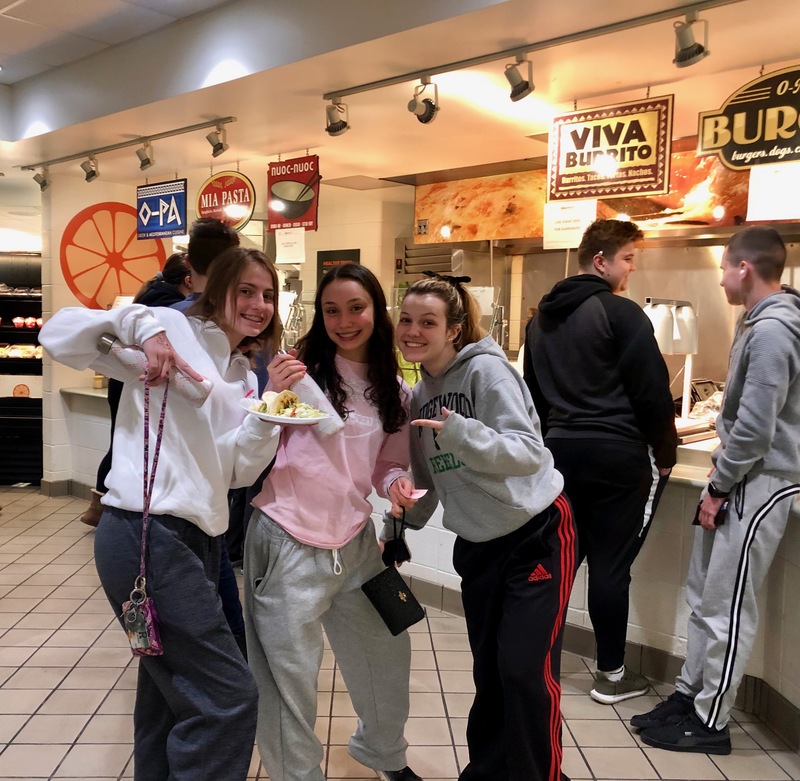 Saveley has an extensive history with nutrition and restaurants and will work with students one-on-one with special dietary restrictions, gluten intolerances, etc.. He will work with them and guide them to give them exactly what they need to ensure lunch is a calming part of their day. “I want to run this like a top notch restaurant and I want to give these kids the best step forward humanly possible. We want to make sure we are giving them the best nutrition now that they need,” said Saveley. Ridgewood has a Food Committee, ran through Student Council, that meets with students once a month and gives them the opportunity to provide feedback. They listen to the conversations from students on what they enjoy and would like to see improved upon. Although it is ran through Student Council any student has the opportunity to participate and if they aren’t comfortable giving feedback in the group setting they can go directly to Saveley. The majority of food is fresh, however there are some items the students request and it’s hard to get away from. These items such as, chicken tenders, mozzarella sticks and fries are pre-made and are deep fried. Students can pay cash or guardians can put money on their account through Skyward Family. Parent’s can go on and check balances and also see what your students are eating for lunch when they use their ID to purchase. Thomas Parrillo, Assistant Superintendent of Finance and Operations explained how the Business Office is willing to work with student regardless of their financial situation. Another unknown fact is that all kids can get affordable breakfast and lunch regardless of free and reduced lunch. The RHS Cafeteria is a vast amount of variety of menu and is willing and able to accommodate all students.